City Bird Be sure to give yourself plenty of time to peruse City Bird. Filled to the brim with unique gifts, City Bird and its sister shop, Nest, feature oodles of Michigan-made and Detroit-themed gifts, as well as housewares, jewelry and apparel designed by hundreds of independent artists. 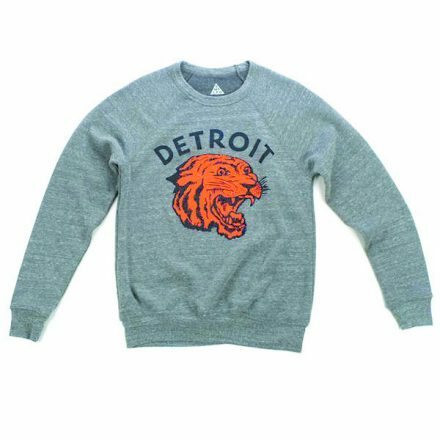 Founded by siblings and lifelong Detroiters Andy and Emily Linn, this one-stop shop for everyone on your list carries loads of little gems: Cellar Door Soaps, Dave’s Sweet Tooth Toffee, City Bird-made dish towels and aprons, Michigan-themed rattles for the little ones and, our favorite, Detroit Neo-Tiger crewnecks (shown) and T-shirts, hand-printed in the Eastern Market neighborhood. 460 W. Canfield St., Detroit. 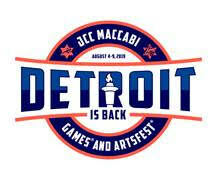 (313) 831-9146; citybirddetroit.com. some of our favorite hometown gems. Hugh Next door to Nora, Hugh is stylish and contemporary, filled with exceptional home furnishings, personal accessories and gift items. 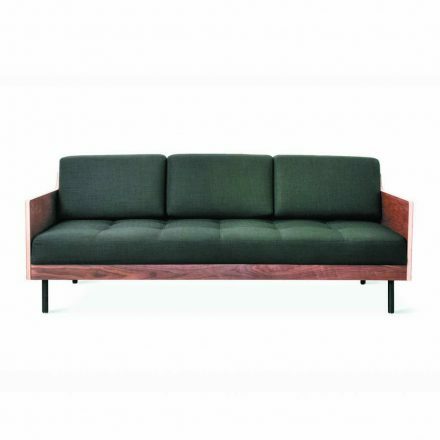 Japanese molded-plywood drink coasters, leather-stitched flasks and wire-framed end tables are just some of the tasteful offerings to be found at Hugh. Originally started as a pop-up shop “tribute to classic bachelor-pad style” in 2009, Hugh opened its permanent location in 2012, featuring a cool vintage vibe reflected in its goods. While we swooned over the buttery Gus Modern leather couches (shown), we fell in love with a sleek, modern desk clock for the hubby. 4240 Cass Ave., Suite 107, Detroit. (313) 831-4844; lovehughlongtime.com. Nora Tucked into an adorable stretch of Midtown Detroit shopping, Nora’s clean, modern design is reflected in its assortment of simple, yet interesting goods. 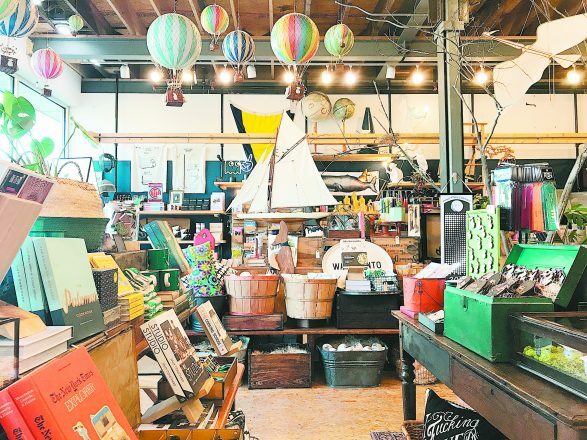 Reminiscent of a museum gift shop, Nora is packed with Little Barn apothecary items, cool coffee table books, hand-sewn leather totes and mouth-blown Swedish glass carafes, among other curiosities. It even offers a wedding registry. 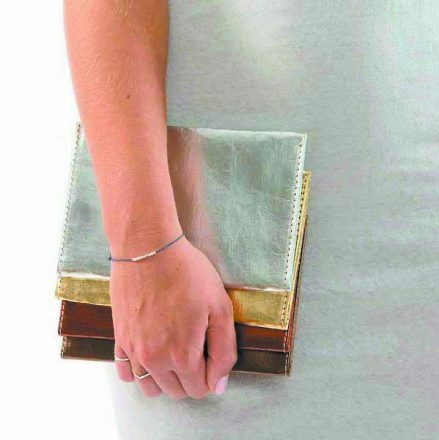 While we gushed over the minimalist leather goods and tabletop items, we happily left with an Italian-made Uashmama large metallic wallet (shown). 4240 Cass Ave., Detroit. (313) 831-4845; noramodern.com. Rail and Anchor Rail and Anchor is stocked full of interesting items, from vintage poster kits to Cody Foster papier-mâché mounted animal heads (shown). In one corner, shoppers will find an apothecary with Mistral soaps and candles in scents like poppies and pamplemousse, while on the opposite side of the store you can create your own terrarium with its extensive selection of succulents and air plants. In the center, an orange 1980s mail truck displays an eclectic assortment of housewares and barware, many Michigan made. Rail and Anchor’s biggest sellers, however, are the vintage items that have been thoughtfully collected from estate sales near and far. The staff is quite knowledgeable and they happily gift-wrapped our purchase, the graphic novel Frida, The Story of her Life, by Vanna Vinci, free of charge. 502 S. Washington Ave., Royal Oak. (248) 397-8985; railandanchor.com. Cristions Fine Linen & Down Cristions carries everything you need to make your holiday houseguests feel like they’re sleeping in a luxury hotel. SFerra bedding and bath towels, Pine Cone Hill bedding, Yves Delorme soaps and even P. James pajamas are sure to make your home cozy during the winter months. Indulgences like plush textiles and robes, pet bedding and festive throw pillows can be found lining the shelves of this Birmingham mainstay. 205 N. Woodward Ave., Birmingham. (248) 723-3337. Found Objects On a cool Monday morning, we followed the delicious scent wafting from a collection of Thymes candles through the doors of Found Objects — and the store is equally delicious, brimming with Barefoot Dreams pajama sets, Monrow sweatshirts and Sugarfina candies. Started by mother-son team Laurie and Zachary Kay, Found Objects has a delightful selection of clothing, baby and kids’ pieces, home décor and gift items. It also carries an impressive selection of Corbe pottery, made by a husband-and-wife duo in Detroit, which makes the perfect hostess gift. Shown: Chaser Eyelash Tee. 168 S. Old Woodward Ave., Birmingham. (248) 220-4999; shopfoundobjects.com. Leon and Lulu Located in downtown Clawson’s historic Ambassador Roller Rink, Leon and Lulu offers one-of-a-kind vintage and new high-end furniture, as well as an interesting array of gift items, housewares, jewelry and women’s fashion. 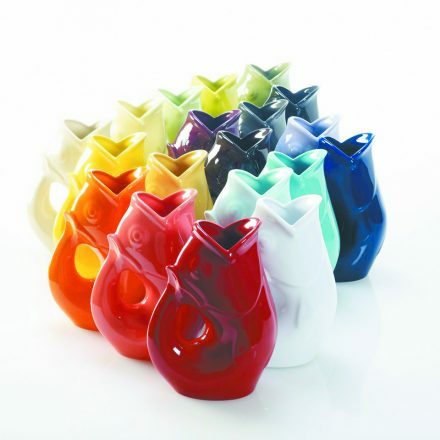 Among the customer favorites are the aptly named Gurgle Pots (shown). Shaped like a koi fish, they actually make a pleasant gurgling noise when poured out. Shoppers also love their extensive line of Nora Fleming products and budget-friendly Spicher signs. 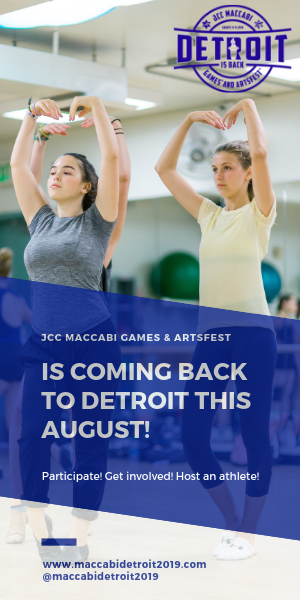 While you’re there, wander next door to its sister store, The Show, where you will find a full line of Michigan-made and -themed products, then grab a bite at the Three Cats Café, both located in the restored Clawson Theater. 96 W. 14 Mile Road, Clawson. (248) 288-3600; leonandlulu.com. Well Done Goods by Cyberoptix Tie Lab Cyberoptix, of Etsy fame, has launched its very own shop below the space where the team prints its exclusive in-house designed neckwear and scarves. Founder Bethany Shorb has proven the company isn’t just about ties anymore by carefully curating a collection of unique gifts for men and women: T-shirts, housewares and outstanding accessories from designers all around the world, plus an awesome array of Detroit- and Michigan-themed gifts. Among our favorites were the NASA trucker hat, anatomically correct heart cufflinks and a gnarly military-style messenger bag. 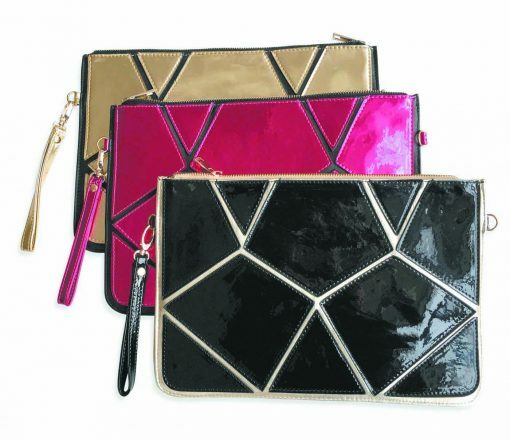 Shown: Geometric Tablet Sleeve/Clutch and Boston Edison necklace. 1440 Gratiot Ave., Detroit. (313) 404-2053; welldonegoods.com.